As the economy evolves from goods to services to experiences, schools are too. In a world inundated with information, teachers may find it harder to keep kids’ attention. Fortunately, there are places like the Edible Schoolyard. About ten years ago chef Alice Waters sparked a Berkeley middle school to plant an organic garden where students would grow their own vegetables as part of their school lunch program. What’s the big deal? How about the fact that healthy, well-nourished children are more likely to attend school and are more prepared and motivated to learn. 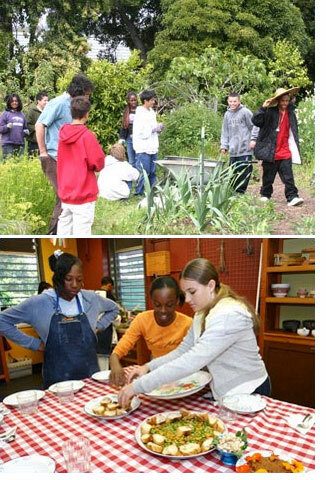 So, the kids learn through experience the values of environmental stewardship and good nutrition by growing, preparing, serving and eating their own food. As they say – hear and you forget, see and you remember, experience and you understand… and cooltowns are full of experiences.